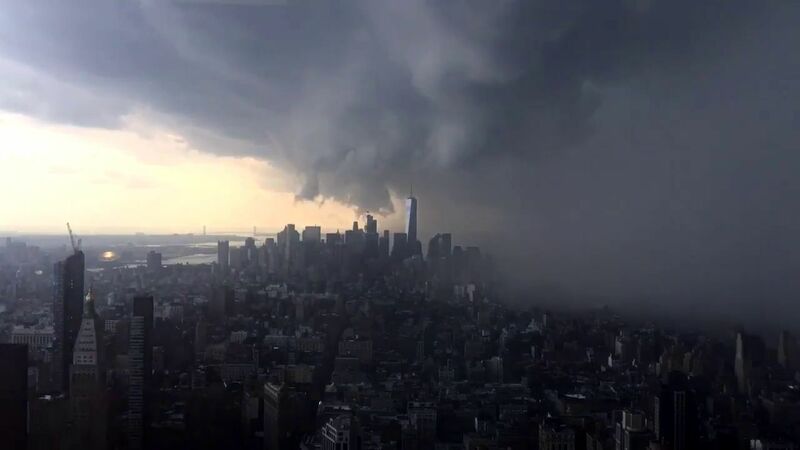 NEW YORK (WABC) -- Hot temperatures fueled storms that swept through the New York City area Thursday afternoon, bringing heavy rain, strong winds, lightning, and some damage. According to AccuWeather meteorologist Lee Goldberg, the storms that brought heavy downpours to New York City headed east toward Long Island and Connecticut by late afternoon. A heat advisory is already in effect until 8 p.m. for most of New Jersey. An excessive heat warning is in effect for central New Jersey to Philadelphia and an air quality warning is in effect for a significant portion of the Tri-State area until 11 p.m. Friday. 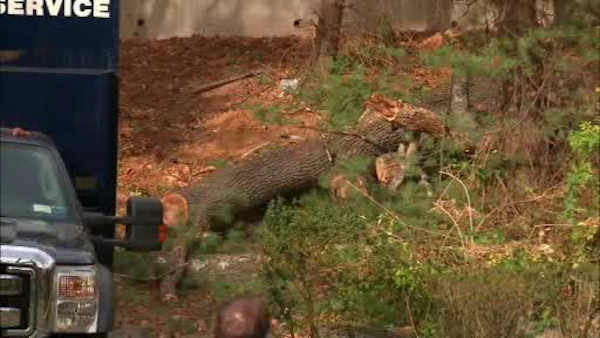 The storms that moved through New Jersey left over 28,000 people without power, including over 9,000 in Morris County. Some of the storm damage was in Gov. Chris Christie's neighborhood in Mendham. State police said multiple trees came down on I-287 southbound in Madison, forcing part of the highway to be shut down and causing extensive delays. Click here to check the AccuTrack Radar. Stay with abc7NY and the Eyewitness News AccuWeather team for the latest on the severe weather.